Vinyl’s timeless musical appeal is very close to the heart of Trilogy. 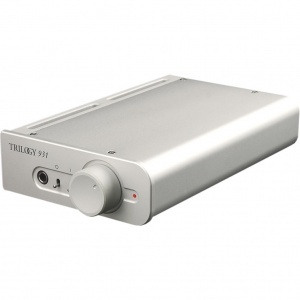 The 907 Phono Stage remains one of Trilogy’s most loved and popular designs. Now Trilogy introduces the 906, which brings as much of the acclaimed 907’s technology as possible within the reach of a wider audience. 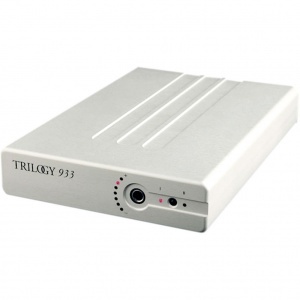 The Trilogy 906 Phono Stage has a very close bond with its illustrious sister, bringing genuine audiophile performance to a more affordable price point. The simpler a design is; the more constraints are placed upon it. With that in mind, it takes real skill and experience to keep performance high and cost low. As with each Trilogy product, every component has been chosen with the utmost care, each circuit element carefully assessed, developed and then scrutinised by the designer Nic Poulson to ensure the highest performance possible. 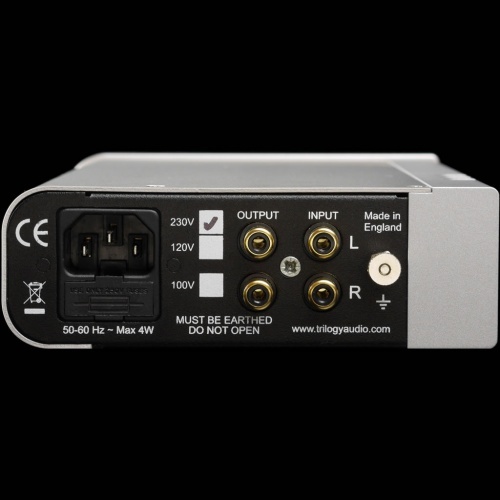 The 906 has a signal path free from cheap, off-the-shelf op-amp integrated circuits. 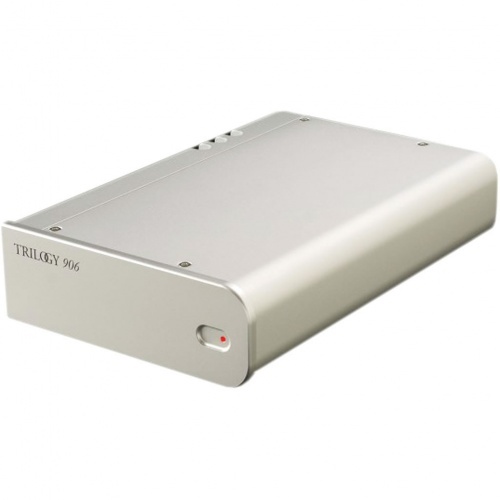 The gain stages are single ended Class A and fully discrete. Each individual component has been chosen for its audio performance alone. The high bandwidth and low distortion topology uses active current sources and cascode gain blocks with zero global feedback. RIAA equalisation is passive, carefully implemented with precision components. A DC servo eliminates the need for large value output capacitors, bringing further performance gains. Settings for MM or MC gain and loading are accessed by configuration switches on the base. The 906 is hand made exclusively in England. The solid, bespoke casework is finished to the same high standard as all other Trilogy products. 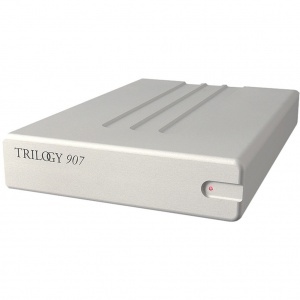 Trilogy use quality materials, beautiful durable finishes and branded components, built to last. The 906 stands as a testament to Trilogy’s core company values, embracing all the qualities that make vinyl so appealing. The 906 while affordable, meets all of Trilogy’s expectations and Trilogy are confident that when you sit down and listen, it will almost certainly exceed yours.